Detailed evidence supporting the AVMA resolution on homeopathy is available in The Case Against Homeopathy, and the Academy of Veterinary Homeopathy’s attempted counter arguments are examined in detail in The Evidence for Homeopathy-A Close Look. What is presented here is a response to a more abbreviated commentary on The Case Against Homeopathy produced by the American Holistic Veterinary Medical Association (AHVMA). This is irrelevant. The resolution has no binding legal force and specifically states that “veterinarians may legally employ any therapy that complies with the applicable laws and regulations governing the practice of veterinary medicine.” The fact that some state governments have recognized homeopathy as part of the practice of veterinary medicine has no bearing on whether or not it is an effective therapy. Just as there is political pressure from a passionate minority on the AVMA to reject Resolution 3, so similar pressure has been applied to other organizations to ignore the science showing homeopathy doesn’t work. AHVMA maintains that one must include an expert in any discussion of a treatment modality, whether it be those taught in the core curriculum of veterinary schools or those taught as electives or special training outside of the core courses. Experts are those who use the modality in practice, and who are invited by practitioners of CAVM to lecture and write about its use. No one person can be an expert in all things, and so the person’s expertise should be specific to the subject being discussed. This resolution should be sent to a task force with representatives from both sides of the argument to in order to create a balanced document for delegates to base their decision upon. As a beginning, this document is accompanied by a White Paper supported by the Academy of Veterinary Homeopathy, which presents the rest of the evidence not present in the paper accompanying the Connecticut resolution. This essentially says that only homeopaths are qualified to evaluate the validity of homeopathy. However, homeopathy is not a recognized medical specialty in veterinary or human medicine, and the expertise homeopaths claim is self-determined. If a committee of believers in homeopathy is formed to evaluate the scientific evidence for homeopathy, the outcome is a forgone conclusion. Homeopaths have a vested interest in declaring their own practice to be legitimate. The delegates and other veterinarians who may choose to evaluate the scientific literature concerning homeopathy have no “horse in the race,” as it were. If homeopathy were effective, conventional veterinarians would simply adopt it and offer it to their patients like any other therapy. This has not happened in the two centuries since the invention of homeopathy because a compelling scientific case for the theories and practices of homeopathy has not been made. It is not necessary that the delegates, or rest of the profession, rely on homeopaths to interpret the scientific evidence concerning homeopathy for us. “our continued position on the use of homeopathy within the NHS is that the local NHS and clinicians, rather than Whitehall, are best placed to make decisions on what treatment is appropriate for their patients -including complementary or alternative treatments such as homeopathy -and provide accordingly for those treatments.” (Secretary of State for Health 2010) This is an essentially political question, and again the resolution does not in any way prohibit veterinarians from choosing to employ homeopathy. It expresses the opinion of the AVMA that the scientific evidence does not support homeopathy to be effective. This is the same conclusion reached by the House of Commons Science and Technology Committee and the science-based medical professions in general. It is up to politicians and courts to decide what implications the scientific consensus has for government health insurance and other matters of public policy, but that again has no bearing on the assessment of the scientific evidence concerning homeopathy. The HOC Committee is a Parliamentary committee consisting of elected officials (laymen), similar to our House and Senate Committees. Like our congressional committees, the attitudes of the members of the committee influence the choice of witnesses called, the evidence accepted, weight given to evidence, and final conclusions. The HOC committee stated “It is not necessary for Scientific evidence to be absolutely uniform in order to establish that a practice is ineffective or unsafe.” One might say the same for establishing that a practice is effective or safe. The citation of the HOC committee was simply to illustrate that bodies with far greater resources than the AVMA House of Delegates have investigated this matter and drawn a clear conclusion about the state of the science. The Case Against Hoemompathy does not rely on the HOC findings but evaluates the scientific evidence itself and merely uses the HOC hearings to help illustrate points that are rooted in this evidence. The HOC did give homeopaths an opportunity to send a representative to present their position, but it did not defer to their expertise because only the homeopathic profession recognizes this as legitimate. Page 1 “There is no consistent body of in vitro or animal model research evidence showing the presence of any biologically active factor in homeopathic remedies or a meaningful biological effect of homeopathic treatment beyond placebo. It is disingenuous to suggest that homeopathy is not primarily concerned with the use of ultradilute remedies that do not contain measurable active ingredients. Insulin diluted to 10U/mL is not a homeopathic remedy; it is simply off-label use of a pharmaceutical. And herbal preparations which contain pharmacologically active ingredients are part of herbal medicine, not homeopathy. According to the Academy of Veternary Homeopathy, “ A homeopathic remedy is a single substance derived from a plant, animal or mineral. This is then subjected to a special procedure called potentization….Dr. Hahnemann discovered that the effect of homeopathic medicines is strengthened dramatically upon successive dilutions and vigorous shaking between each dilution. The final dilution can be very high…These substances are specially prepared so that they have no toxic “side effects”…Homeopathy is a safe form of treatment in that there are no chemicals or drugs in the remedies so there are no side effects.” By their own definition, a homeopathic remedy no longer contains any chemicals from the original substance used. Even the AVH white paper states, “medicines used in homeopathy are often administered in highly diluted form…their mode of action differs from substances given in pharmacologic doses and having direct agent-dependent actions on the body.” The document then goes to great lengths to defend the theory that ultradilute substances can have biologic effects, and all but a few of the papers cited relate to the investigation of ultradilute homeopathic remedies. Ultradilute remedies make up the vast majority of homeopathic treatment, and if these are ineffective (as the evidence clearly shows they are), then homeopathy is no more than a placebo therapy. The level of evidence within the hierarchy of evidence-based medicine, and the quality of controls for chance, bias, confounding, and other errors, are determined by specific established criteria, including study design, sample size, randomization, blinding, control groups, and many others. The level and quality of a study, and the reliability of the results, is determined by these features, not by the journal in which the report is published. Even highly respected journals can publish results that are clearly false. A paper by Andrew Wakefield suggesting a relationship between vaccination and autism was published in the Lancet in 1998, and it was retracted in 2010 and Dr. Wakefield stripped of his license for the fraudulent and unethical study. The journal Nature published a paper reporting an effect of a homeopathic preparation on basophil degranulation in 1988, and then published a followup title “’High-dilution’ experiments a delusion” showing the results to be due to inadequate blinding. Even high-quality journals can, and often do, publish poor quality research. And the evidence in such journals cited by homeopaths in the AVH white paper did not even approach a compelling case for the efficacy of hoemopathy, as can be seen in The Evidence for Homeopathy-A Close Look, in which I review these citations in detail. Of the 16 veterinary studies listed in the CVMA white paper that reported positive results, 11 were published in journals dedicated to homeopathy or alternative medicine. Of the 15 veterinary studies listed in the CVMA white paper that reported negative results, only 2 were published in such alternative journals. And while some positive studies have been reported in mainstream journals, it is still true that the vast majority are found in dedicated journals with a clear bias. And the systematic reviews cited in the CVMA white paper also demonstrate clearly that the higher level and quality and the better control for bias in a study, the less likely the results are to be positive, consistent with homeopathy being a placebo therapy. Only when low-level and low-quality studies are given equal weight (as in the Swiss homeopathy report) can one manufacture the appearance of strong research support for an effect above placebo. The conclusions were accepted by the Scientific Advisor to the government, but for political reasons (including pressure from the Royal Family, who are believers in homeopathy, the official policy of the government has not yet moved into alignment with the position of the scientific and medical communities that the NHS should not offer an ineffective therapy. However, two of the five homeopathic hospitals funded under the NHS (Liverpool and Tunbridge Wells) have closed in the last year, as well as numerous other facilitieg offering homeopathy in the UK. The politics are catching up to the science. All 3 were presented by Larry Bernstein, VMD, who uses homeopathy extensively in his practice, as well as teaching and lecturing regularly on the subject. 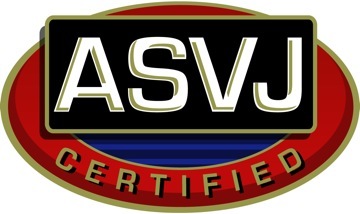 [approved courses must] build upon or refresh the participant in the standards for practice and the foundational, evidence-based material presented in accredited colleges or schools of veterinary medicine or accredited veterinary technician programs…CE programs that advocate unscientific modalities of diagnosis or therapy are not eligible for RACE approval…All scientific information referred to, reported or used in RACE Program Applications in support or justification of an animal-care recommendation must conform to the medically accepted and scientifically supported standards of experimental design, data collection and analysis. The AHVMA went so far as to set up an alternative CE approval organization, Registry of Alternative and Integrative Veterinary Medical Education (RAIVE), in order to skirt the mainstream process. This organization is not recognized by any mainstream veterinary group, just as the alternative board certification in homeopathy created by the AVH is not recognized by the AVMA as a legitimate specialty board. These are all examples of the AVH attempted to force homeopathy to be judged by different standards from scientific medicine, standards set by homeopaths. The lawsuit was dismissed by the court in 2012, and RACE does not currently accept homeopathy course as approved CE. Thus, published results show an average of 37.02% of interventions are supported by RCT (median = 38%). They show an average of 76% of interventions are supported by some form of compelling evidence (median = 78%). the Banerji protocol (using homeopathic remedies) Best Case Series on cancer was accepted by NCCAM and NCI at NIH. It was presented to the Cancer Advisory Panel for Complementary and Alternative Medicines. NCI is devising “Practice Outcomes Monitoring and Evaluation Systems Study for Bronchogenic Carcinoma” at their clinic, with a goal of designing a protocol for treatment of these cases at institutions in the US. (Banerji 2007) The NIH has asked for animal studies before final approval, and currently a board-certified veterinary oncologist is working with the proponents of the Protocol to develop a design for the study. After 200 years, the best homeopathy can show is a “best case series?” It is well-established that case reports and case series are useful for generating hypotheses, not proving or disproving them. And NCCAM has a long history of funding ridiculous homeopathy research which identifies no benefits but doesn’t discourage homeopaths either. The Case Against Homeopathy cites numerous systematic reviews of clinical trials, a much higher level of evidence, which shows homeopathy does not work. Thefourth paragraph describing “sympathetic magic” has nothing whatsoever to do with the way that homeopathic remedies are selected. Homeopathy is a classic example of this variety of pre-scientific superstition. These examples illustrate the fact that homeopathic remedies are produced from starting materials that have no plausible connection to any disease etiology. The basis for such choices is pre-scientific superstition, including the notion that anything which causes symptoms of illness in a healthy person can be used to combat those same symptoms, regardless of their cause, in a patient. Vaccines and some conventional medications, such as nitroglycerin for angina, stimulants for attention-deficit hyperactivity disorder, and digoxin for congestive heart failure match the “like cures like” principle. Again, untrue. Vaccination doesn’t work because of the “like cures like” principle. Vaccine antigens stimulate a specific immune response to a particular antigen from a pathogen by a mechanism that has been intensively investigated and characterized in detail. There are many different kinds of vaccines (whole cell, protein-based, DNA-based, killed and modified live, etc) which are developed and which function to treat or prevent specific diseases according to the pathogenesis of those diseases. The AVH has not applied because they know they cannot meet the standard. Human homeopathy is also not recognized as a medical specialty. Unless homeopaths can meet these standards and obtain this status, they have no legitimate claim to any specialized expertise that must be acknowledged or deferred to. Numerous veterinary and human medical groups have acknowledged that homeopathy is not a legitimate therapy. Political pressure to refrain from such a declaration is stronger in some places than others, but this has nothing to do with the state of the scientific evidence or the truth of the matter. In the UK, in December 2011, the Veterinary Medicines Directorate (VMD) in the Department for the Environment Food and Rural Affairs (Defra) – which governs the use of medicines in animals – made clear that homeopathic treatments could only be classed as medicines, and thus prescribed by vets, if they were able to demonstrate efficacy. In the past year the British Medical Association has adopted an extremely robust approach on the issue, rejecting the use of homeopathy by the British National Health Service and calling for homeopathic products to be stored away from medicines in pharmacies and chemist shops on shelves marked “placebos”. In Sweden, veterinarians are prohibited from prescribing homeopathic remedies. 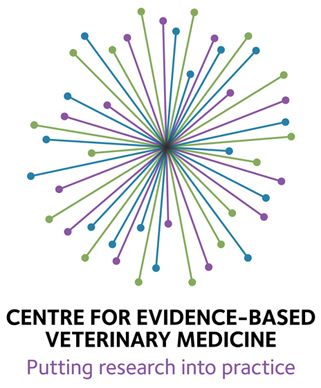 In November 2005 the Federation of Veterinarians in Europe (FVE) issued a strategy document including the statement that the veterinary profession is rooted in science and evidence-based veterinary medicine. In the explanatory discussion of this strategy document it was explicitly stated that the FVE rejects non-evidence based medicines such as homeopathy. Earlier in 2005 the European Board of Veterinary Specialisation (EBVS) made a clear statement with regard to alternative modes of treatment: The EBVS only recognises scientific, evidence-based veterinary medicine complying with animal welfare legislation. Specialists or colleges practising or supporting implausible treatments with no proof of effectiveness run the risk of withdrawal of their specialist status. No credit points can be granted for education or training in these so-called supplementary, complementary and alternative modes of treatment. In October 2006, the general assembly of the Royal Netherlands Veterinary Association agreed to discontinue the official status of the group of veterinarians working with homeopathy. ignores the fact that the proper preparation of homeopathic remedies is recognized by the FDA and is part of their Pharmacopoeia. “The smallest dose that results in the obligation to submit a doctor’s prescription”does not mean inactive. Advil is active, as is prescription-level amounts of ibuprofen, but Advil does not need a doctor’s prescription. In addition “acknowledged to have no recognized therapeutic use” is for those remedies eligible for the simplified procedure. The rest of the regulations say “The usual rules governing the authorization to market medicinal products should be applied to homeopathic medicinal products placed on the market with therapeutic indications.”Despite the implications, the rest of the regulations make it clear that these regulations recognize that there are homeopathic remedies with therapeutic use. Nonsense. The language of these regulations is intended to allow homeopathic remedies to be marketed despite having no proof of efficacy for specific clinical indications. The caveat is that they cannot claim such an indication on the label. This is one more political accommodation for homeopaths that exempts homeopathy from the standards of evidence to which conventional medicine is held, and the AVMA should not continue to tacitly approve of such a double standard by refraining from stating the obvious: that homeopathy has failed the standards of proof expected of legitimate scientific medical therapies. “3. The label indicates the absence of any recognized therapeutic use” is describing the label, not the remedy. Labels are regulated in both Europe and the U.S. as a way of ensuring that false claims are not made regarding safety and efficacy. If a product cannot be labeled as having a specific effect, that is because it has not been scientifically shown to have that effect. That’s the whole purpose of a drug label. While not yet official policy, it indicates that before the application of outside political pressure, groups like the Homeopathic Working Committee of the NHMRC and the House of Commons Science and Technology Committee consistently come to the conclusion, when evaluating the evidence, that homeopathy is ineffective. Whether these conclusions are then adopted as official policy depends, as in the case of Resolution 3, on political factors as well as scientific evidence. There is a single citation which reports contamination of products from Croatia. Products used in the US are of American and British origin.This was cited by the flawed HOC Committee report. That was simply one example. There is ample evidence of the harm from the use of homeopathy, both direct and indirect. Page 18 states “not all homeopathic medicines are administered at a high dilution.” This istrue for a wide variety of homeopathic medicines. This negates the general representation of the Connecticut white paper that homeopathic remedies have no effect because of their ultra-high dilutions. Yet the vast majority are, and the remainder have been exempted from demonstrating safety and efficacy by scientific investigation by the label “homeopathic.” If they are truly effective, there should be clinical trial evidence to show this, and there is not.